In the heart of Amsterdam’s canal district you’ll find the quaint shopping area “de 9 Straatjes”, or in English, the 9 streets. Situated along Amsterdam’s historic 17th century canals, this charming area of the city is home to designer boutiques, vintage shops, gift stores, trendy bars and much more. 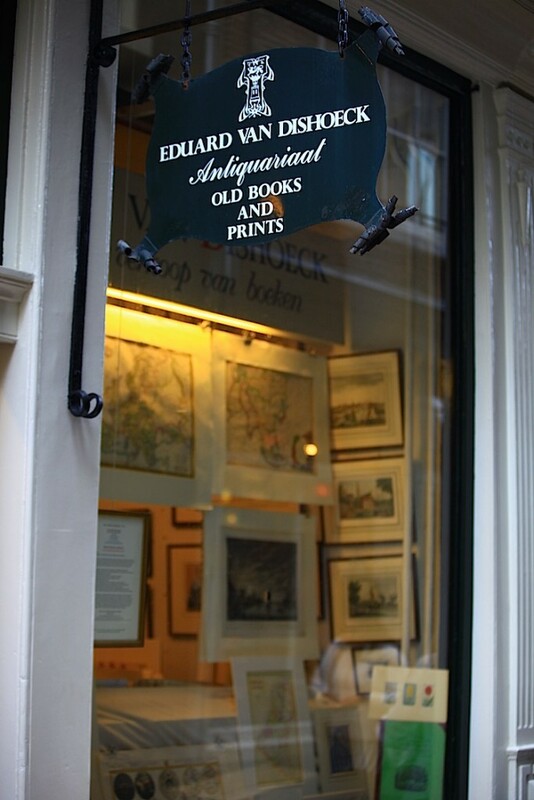 Stroll along the cobbled streets, from Singel to Prinsengracht, as you search for unique gifts for your loved ones. The 9 Streets is home to unique and boutique shops. It’s a great place for gift shopping. 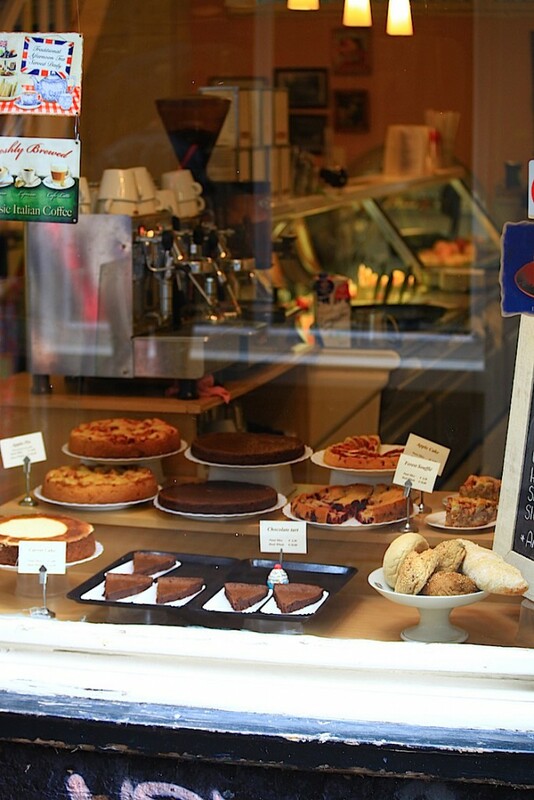 Try a yummy cake or stop for lunch at one of the many cafes in the area. 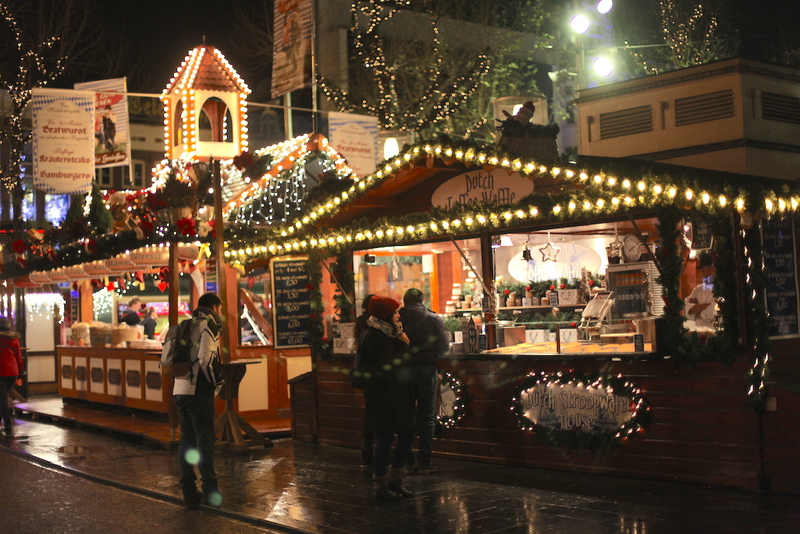 Check out the festive market stalls and indulge in seasonal treats at Amsterdam’s outdoor Christmas market. You’ll find vendors located at Rembrandtplein and along Leidsestraat from early December until the end of January. People queuing for stroopwaffles, a Dutch specialty, at the Christmas Market in Amsterdam. Sinterklass is a much loved holiday figure, similar to Santa Clause, who hails from Spain and delivers toys to children in the Netherlands on December 5th. The launch of his festive season begins with the Sinterklass Parade in mid-November, when Sinterklass, and his rather controversial helpers “Zwarte Piete” (Black Pete), arrive by boat to Amsterdam and parade through the city centre. Read more about Sinterklass. 4. Turn on the Lights Amsterdam! Every year, Amsterdam’s De Bijenkorf department store puts on a theatrical outdoor show in Dam Square to mark the launch of the holiday shopping season. This professional (and free) show has become well known for its dramatic aerial acrobatics and has become a highly-anticipated tradition in the city. Check out the 2014 Turn on The Lights show! The Amsterdam Light Festival illuminates city streets and canals with artistic light displays throughout December and January. Discover the displays on foot or by boat in one of the tour routes in the city. 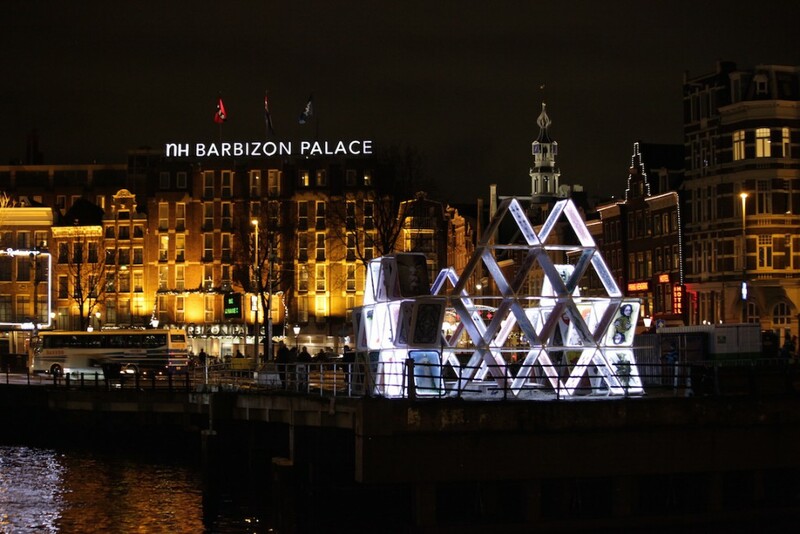 Read more about the Amsterdam Light Festival. 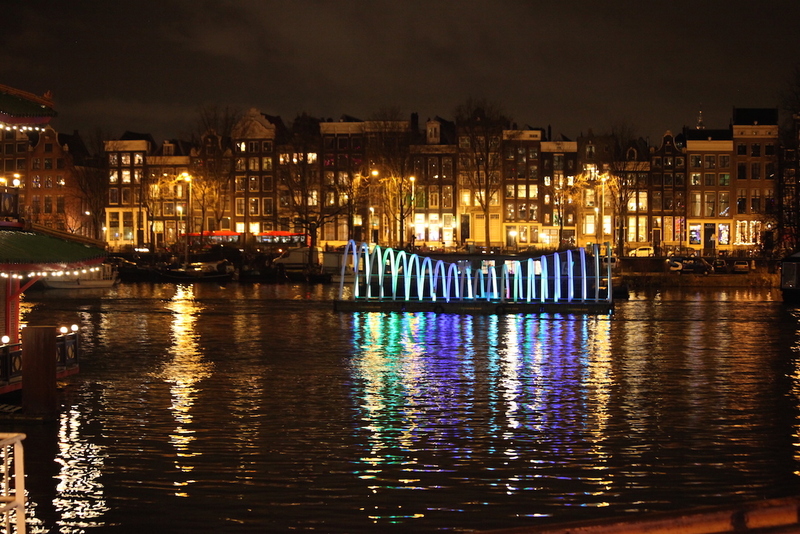 One of the displays from the 2014 Amsterdam Light Festival. A house of cards display situated near Amsterdam Central Station. After a day filled with festive Christmas shopping, it’s time to take some time to yourself and what better way to do so then by strapping on a pair of skates? 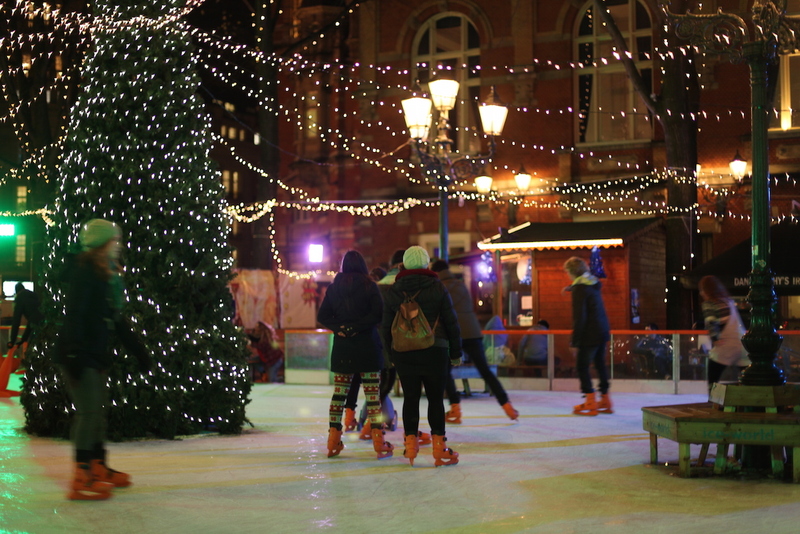 Checkout the rink at Leidseplein for a relaxing skate with friends, or the rink at the Rijksmuseum where you’ll also find the occasional friendly game of ice hockey in the evenings. 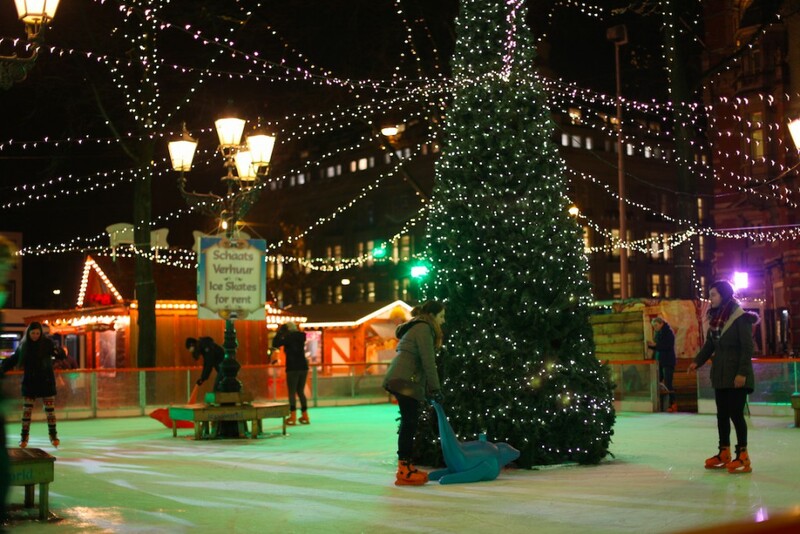 Read more about ice skating and skate rentals in Amsterdam. Grab a pair of skates and get on the rink! Skating is a great way to spend time with friends.